Such a dramatic title. When Tom Ford is involved though, can there ever be enough drama? I don’t think so. I’m going to paint you a picture. I was in Cardiff, feeling spendy and at the Tom Ford counter. Dangerous, I knows. 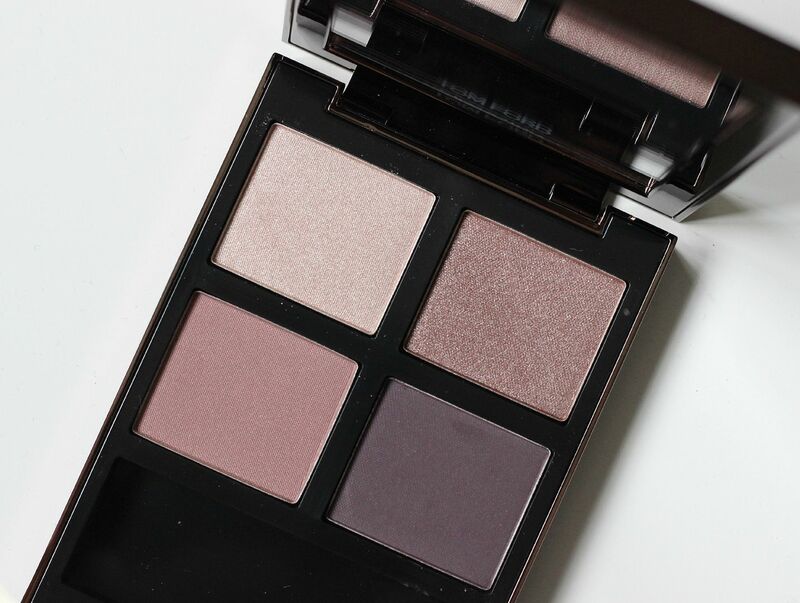 This beautiful palette – orchid haze – that I had been lusting after from afar for a long time suddenly was in my hands, and I was scrunching up the receipt (pro shopping tip – if you destroy the receipt afterwards, the money doesn’t count) and skipping away. So happy. THEN I got home, and opened my palette to look and all of the pans fell out. Like, they all fell out and got all smushed. Not what you expect with Tom Ford, am I right? I tweeted house of fraser, and got a very unhelpful response. I called the store, and got a better response – they gave me the number for Estee Lauder customer services and after a 25 minute wait on the phone, I explained my terrible problem and before you knew it, a new replacement quad was winging its way to me. You can all calm down now, because it’s beautiful and I’m on a Tom Ford cloud. Ooooh, so pretty. Can you hear the heavenly chorus? Tom Ford shadows are something special. They are. I have cocoa mirage which is mostly matte and amazing, but the shimmery purple-pinky toned shades in this quad called to me. They said they would be really good and never fall-out, and always make my eyes look nice. They promised. All the shades are really smooth, and I am not disappointed. 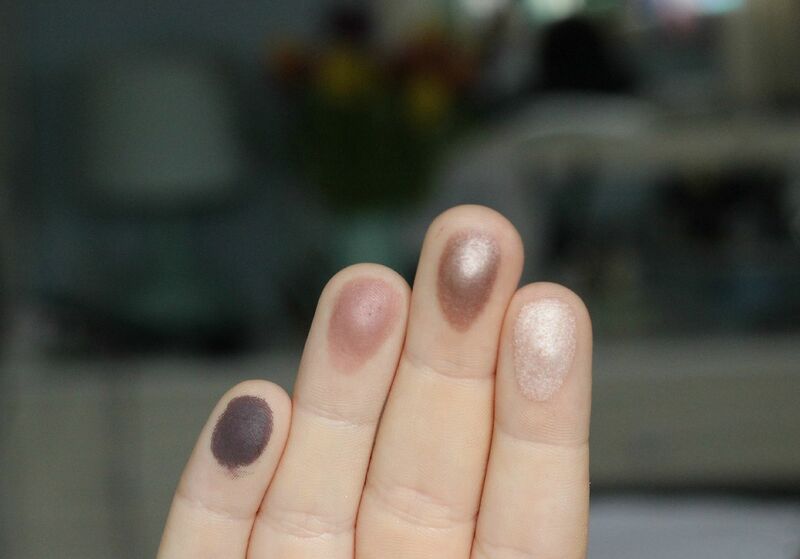 My favourite is the top right shade in the quad (second from left on finger swatches), because on the lid it gives an almost wet look which is so shimmery and sheeny and gorgeous. I used a 224 to add some of the dark matte purple shade into the crease and the two colours go so well. 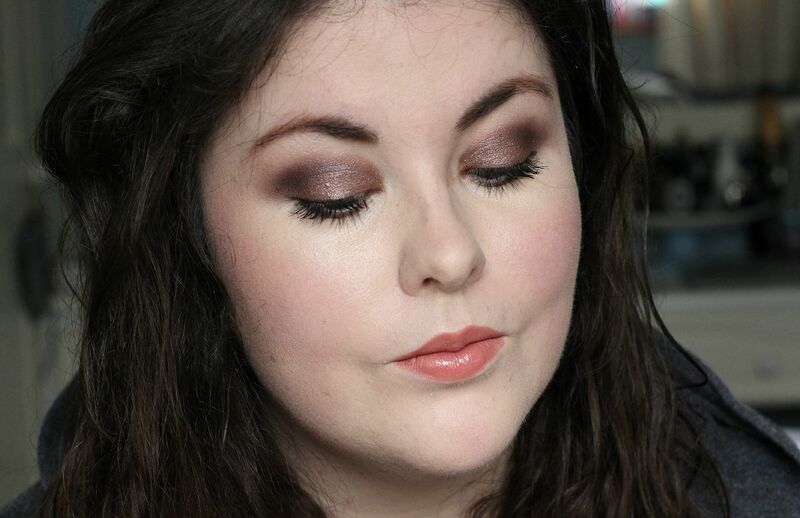 In the photo below I used the shadows over the By terry ombre blackstar in misty rock and this is my new obsession. 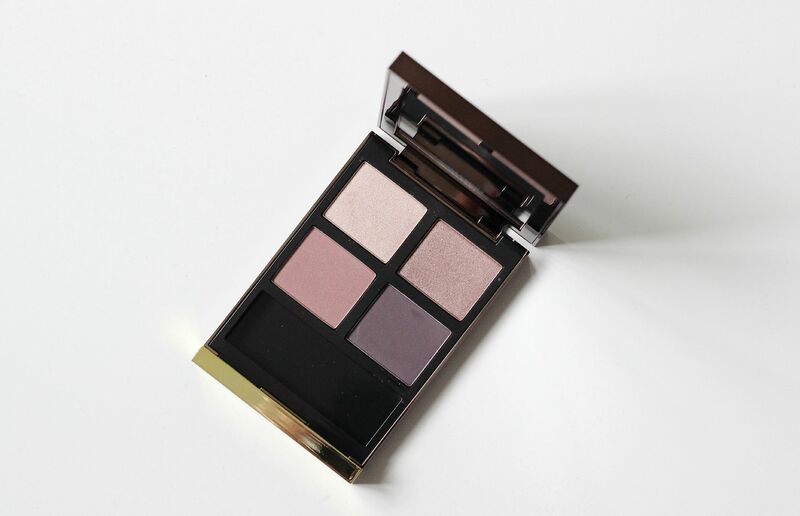 A palette with enough colour in it to be interesting but not enough so that you will be too scared to use – all with the swish Tom Ford packaging and excellent formula. So with what started as a Greek tragedy ended as a Shakespearian sonnet – Shall I compare thee to a summer’s day? Thou art more lovely and more temperate.